NS curator Jeffrey Zeigler (cellist) presents jazz trumpeter John Korsrud and the Eco-Music Big Band, led by Marie Incontrera. The 18-piece Eco-Music Big Band plays the music of Canadian new music/ jazz composer John Korsrud. Korsrud’s high-energy compositions established him as one of Canada’s most exciting and original composers. 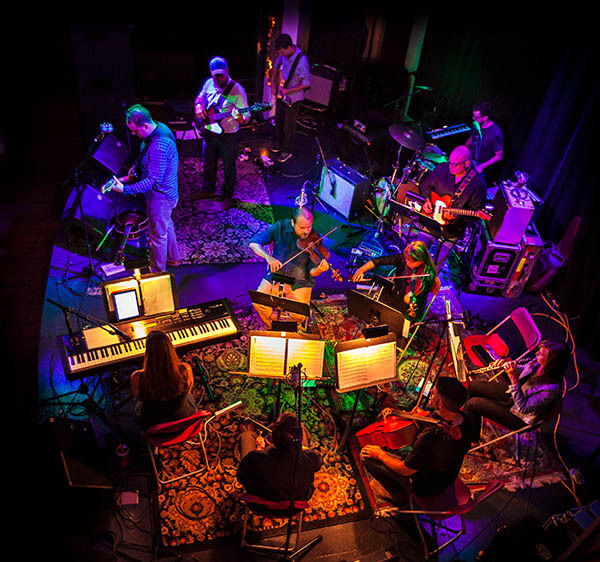 The adventurous Eco-Music Big Band, originally formed by Fred Ho and led by Marie Incontrera, specializes in premiering new work. Mar 31, 2016 - 7:00pm M is Black Enough is a collaborative exploration of meaning and conversation through steelpan, cello and text / voice. It aims to be complex and aggressive, and involve all elements equally in the bold narrative the band undertakes - one about people, and justice and struggle and joy and celebration. 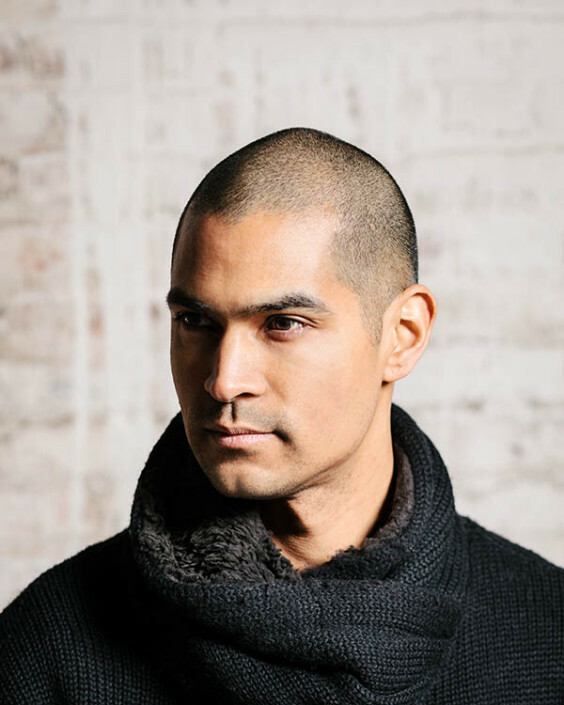 Feb 12, 2016 - 8pm SONYC – String Orchestra of New York City, New York's leading conductor less string orchestra, comes to National Sawdust with works by four East–Coast composers: Aaron Jay Kernis'- "Sarabanda in Memoriam" for a Brooklyn premiere. This piece showcases the lyricism and melodic gifts that has earned Kernis so much praise. 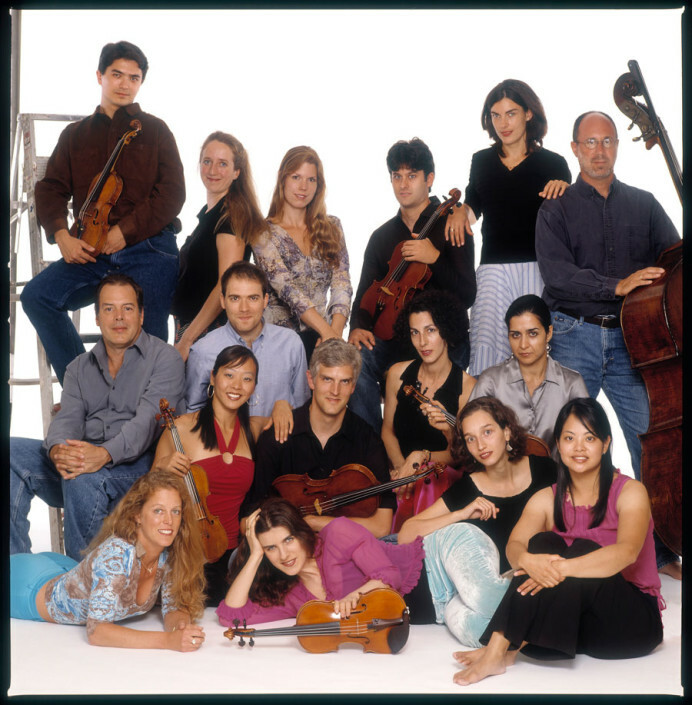 From Joel Friedmann, we have the New York premiere of"Movable Home" – an energetic and virtuosic work that juxtaposes the intimacy of the string quartet with power of the orchestra. This work was co-commissioned by SONYC. Reena Esmail is drawing on her Indian roots in "Teen Murti" – a sonic response to the famous sculpture in front of Nehru's residence – a New York premiere. Finally, "Blues for Black Hoodies" by Randy Woolf is a SONYC commission through a Meet the Composer grant. This work uses the poetry of Wordisbon alongside urban rhythms to make a powerful political statement. 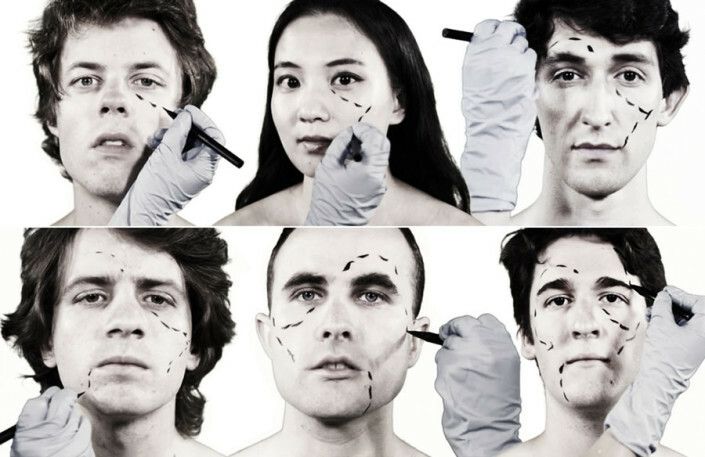 DISSECTIONS features six interconnected pieces written and performed by Invisible Anatomy that probe the destruction, transformation, and intimacy inherent in peeling away our surfaces. Derived from a collaboratively generated text and presented with dramatic visuals, these newly composed works trace a line from ornate to bare, taking the scalpel to instruments, gestures, and language. 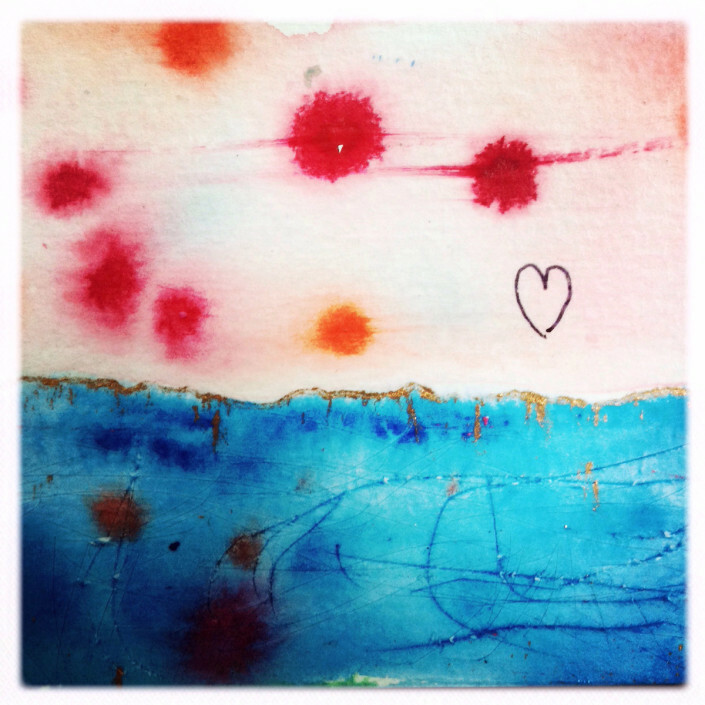 OPENING NIGHT: DISCOVER THE SPACE VOL. 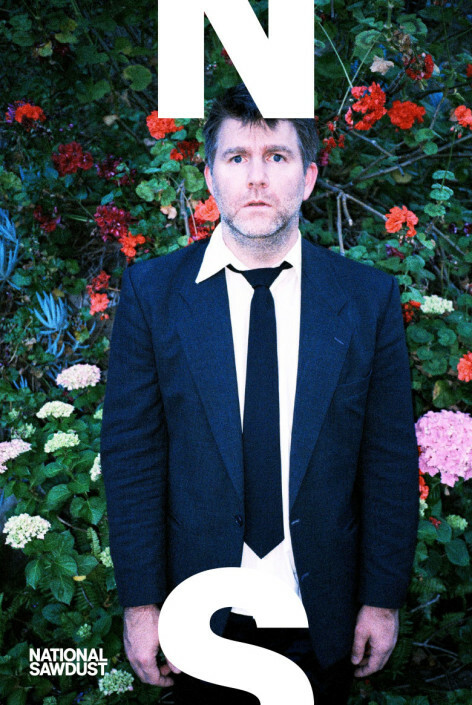 2 at 11 pm will feature National Sawdust Curators & Artists - steel pan performer and composer Andy Akiho, cellist Jeffrey Zeigler, and poet Roger Bonair-Agard; Cibo Matto with special guest Nels Cline; and National Sawdust Curator, James Murphy DJ Set (DFA / LCD Soundsystem). 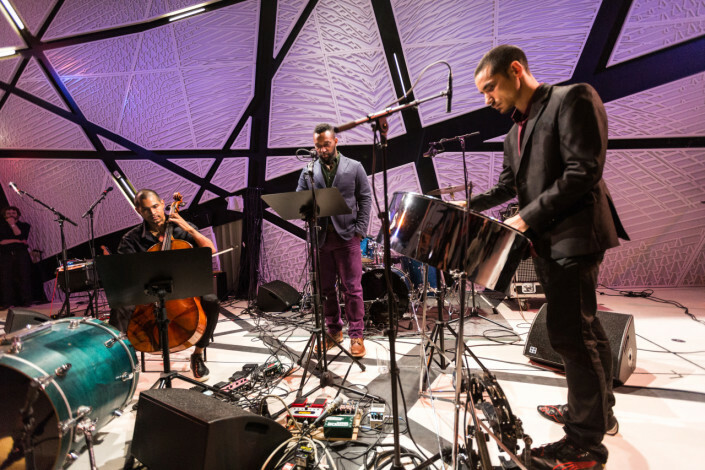 At 7:30pm, members of the National Sawdust family of artists join forces for an evening that explores the acoustics of the new hall. Curator Theo Bleckmann will be joined by ACME, one of the venue’s groups-in-residence, in a new work commissioned by National Sawdust. Other collaborations will include National Sawdust curator Jeffrey Zeigler with Gyan Riley (guitar) and Eve Gigliotti (mezzo-soprano) performing Paola Prestini’s OLIVIA. Bryce Dessner and Nico Muhly, a National Sawdust advisory board member, perform with Tanya Tagaq and Jeffrey Zeigler. Stephen Gosling will perform music by Paola Prestini. Chris Thile will perform solo. concert:nova & the Mitchells - world-class chamber musicians & Cincinnati indie-popsters - take on love and alienation, exploring the themes and text in ten original songs inspired by 19th century songster Franz Schubert’s The Miller's Daughter and a Winter Journey. Apr 17, 2016 - 2:00pm The National YoungArts Foundation continues its 35th anniversary season with YoungArts New York on April 12-17, offering life-changing experiences, guidance and support to YoungArts winners from the region through interdisciplinary workshops, seminars and master classes with renowned leaders in their fields. 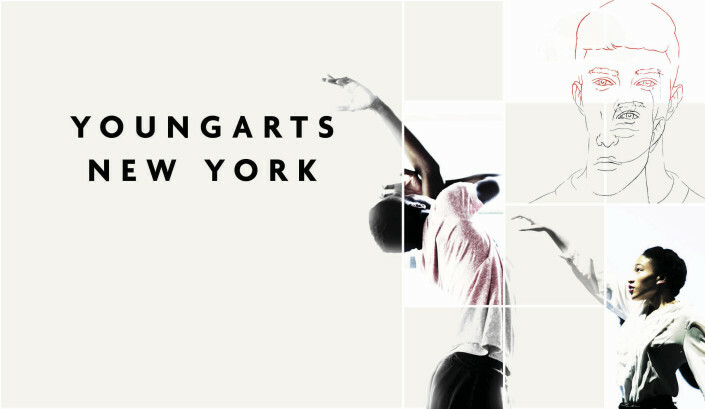 YoungArts New York is one of three regional programs that expose local audiences to emerging artists in their community. 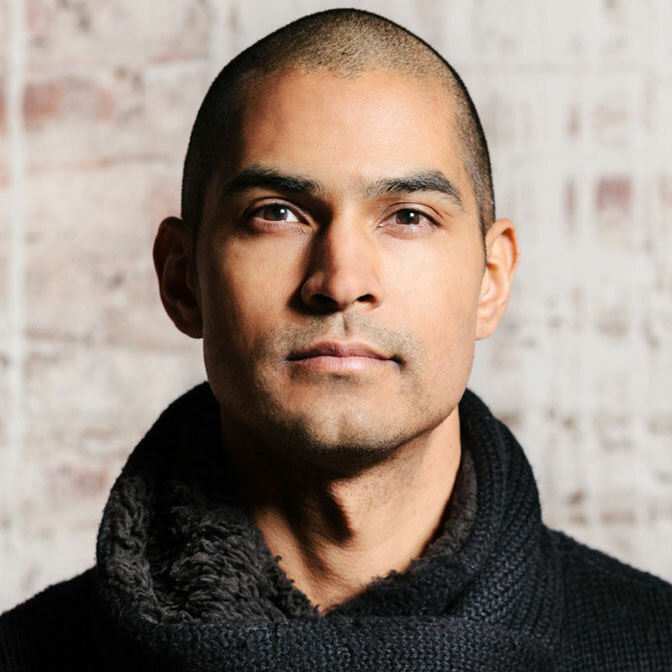 Jeffrey Zeigler returns to National Sawdust with a program of new works for solo cello which will include two World Premiers by Brooklyn based composers JG Thirlwell and The National’s Bryce Dessner. 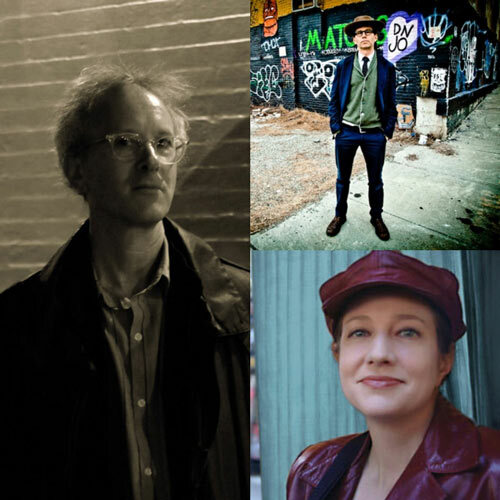 Zeigler will also give the New York Premier of Tangled in Plastic Currents by Derek Charke as well as new arrangements of works by David T. Little and Douglas J. Cuomo. June 23, 2017 - 10:00pm This is the release show for second album by Trio S - lead by clarinetist Doug Wieselman, with Jane Scarpantoni on ‘cello and Kenny Wollesen on drums and percussion. This ensemble incorporates live looping, invented instruments and compositions based on melodies from water and dreams. May 18, 2016 - 7:00pm The songs of Rabbit Rabbit are raw and beautiful, sparse and rich, lighthearted and full of pathos. Drawing on their love of art song, folk song, industrial music, improvised music and heart-wrenching balladry, they will make you dance and cry alternately, and sometimes in quick succession. Nov 6, 2015 • 10pmNS curator Jeffrey Zeigler (cellist) presents jazz trumpeter John Korsrud and the Eco-Music Big Band, led by Marie Incontrera. 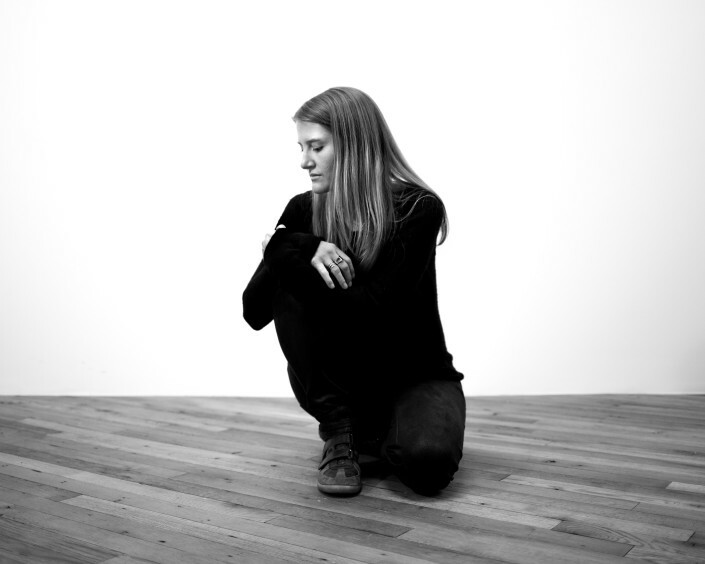 Apr 01, 2016 - 7:00pm To celebrate her EP release of Hedera (for solo voice and electronics), Lesley Flanigan presents a special concert of music for voice, spanning early to modern approaches for the human instrument.